As mentioned in the previous post about homemade coconut cream eggs it was an automatic given that we had to make peanut butter eggs. They are the Easter candy staple. This time, however, we tried a different recipe. I actually didn’t remember the process from the last time until I went back to read that post. 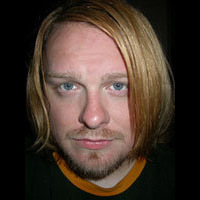 Even then I still don’t really remember doing them that way. In any case, this recipe is simpler and doesn’t require using the stove. Similar to the coconut cream eggs recipe, this one is also cream cheese based. Basically you just want to put the peanut butter and the cream cheese in the microwave for about 30s to warm it up slightly and then cream them together. 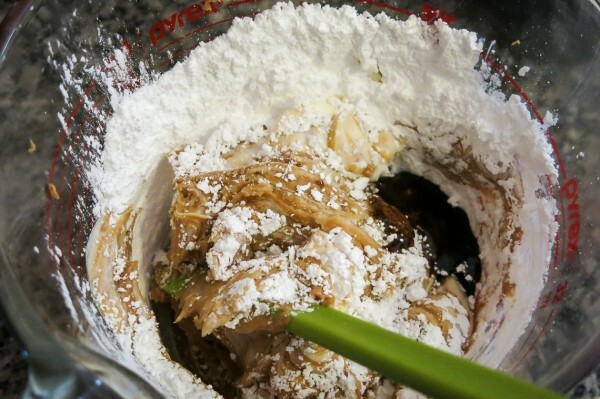 To this add the powdered sugar and a little vanilla and mix together well… and BAM, filling done! Then, as with the other recipe, you want to put the mixture in the freezer for 10 min or so. This doesn’t need to be chilled nearly as long as the coconut cream filling. Once the mixture was cool enough I used 2 spoons to portion out and try to make vaguely egg shaped pieces. Megan refined the shape a bit and set them on a tray covered in wax paper. Back in the freezer they went in order to set and prepare for chocolate coating. I don’t think we used enough shortening in the chocolate on these. 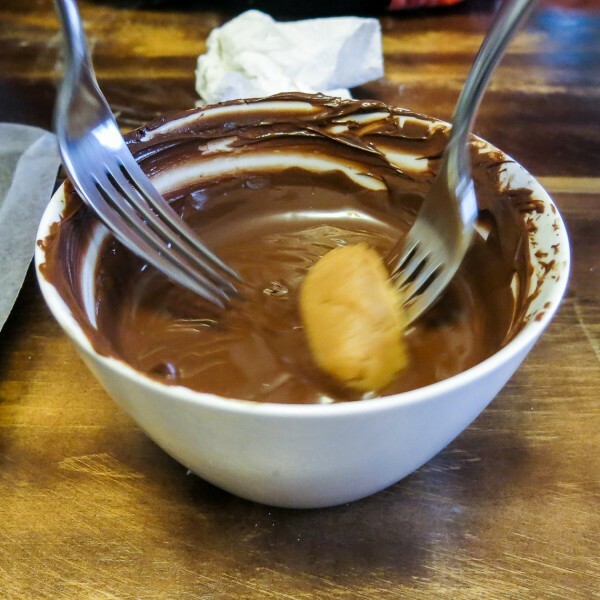 The chocolate was fairly thick so the extra chocolate didn’t really drip easily back into the bowl. I was actually concerned we might run out of this batch before we were done, but thankfully there was enough to finish these. As you can see in the pic, I wasn’t super patient in trying to get all the extra off, so the extra chocolate puddled underneath them on the wax paper. Clearly we will be breaking all the extra chocolate off of these before packing them up. So its been like 3 years since we made the other ones, so my ability to really compare the recipes is a little limited. 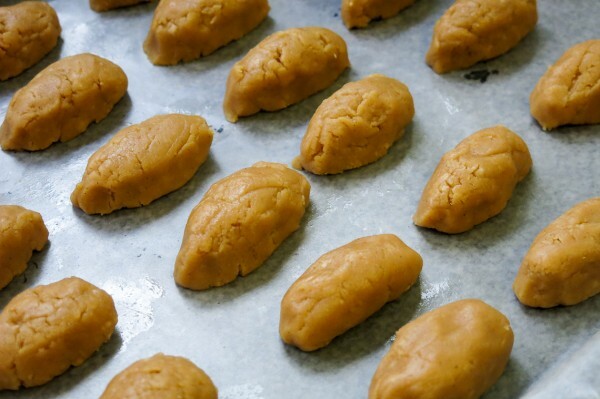 However I feel like the previous recipe produced a denser peanut butter filling whereas these seemed creamier, but also with a bit subtler peanut butter flavor. They were delicious, but I think I might favor a stronger peanut butter flavor. That is certainly something you can easily tweak the recipe to accomplish. Frankly either recipe is going to make some damn fine candy so you won’t lose either way. 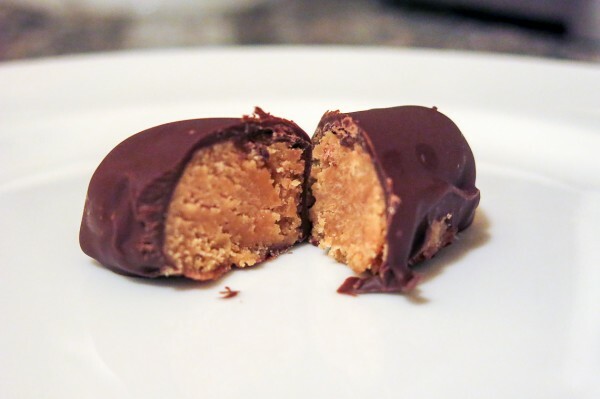 But if you like your peanut butter filling creamy and light these might be the way to go. The recipe was originally found on the Brit+Co. Line a baking sheet or tray with waxed paper. 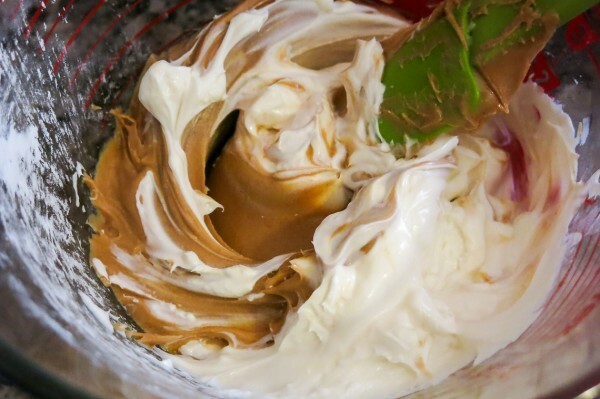 In a large microwave-safe bowl, combine peanut butter and cream cheese. Microwave, uncovered, on high for 30 seconds or until mixture is slightly softened. Stir in powdered sugar and vanilla. 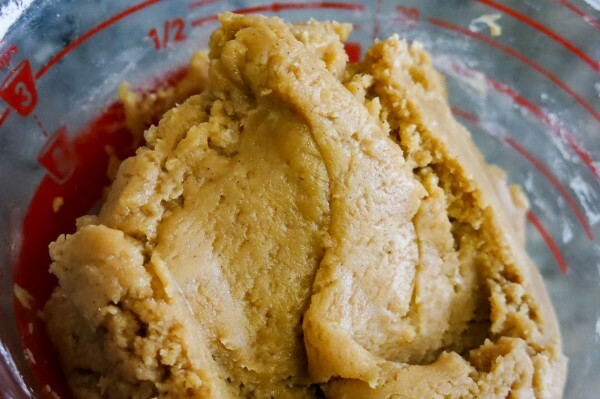 Put peanut butter mixture in the freezer for 10 minutes. 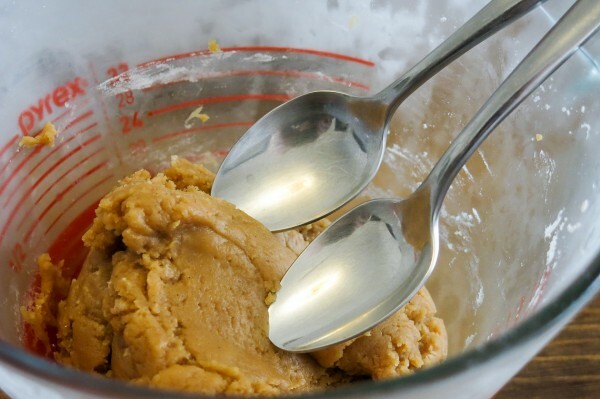 Remove from the freezer and shape into eggs using two spoons. Place eggs on the prepared baking sheet. Cover and freeze for 15 minutes or until firm. 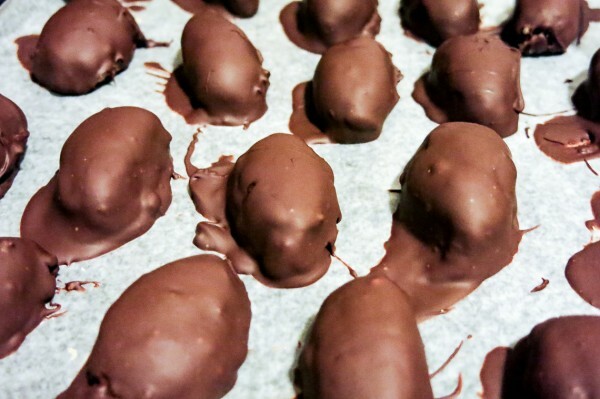 Place chocolate in a microwave-safe bowl. Microwave in 30 sec intervals until melted. Using a fork, dip eggs into melted mixture, allowing excess to drip back into bowl. Place dipped eggs back on the tray, or a cooling rack.